Ariel Sharon was born in Israel in Kfar Malal in 1928. He joined the Haganah in 1942, and thus began his long and storied military career. He died on Saturday, January 11, 2014 after an eight-year long coma. During the Independence War, he served as a platoon commander in the Alexandroni Brigade and was critically wounded in the Latrun battle. 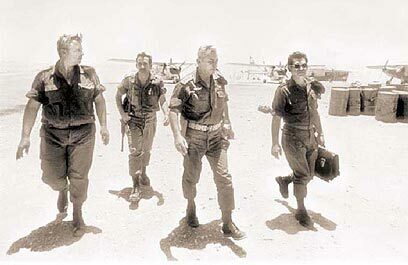 In 1953, Sharon founded Unit 101 to conduct reprisal raids against infiltrators from Jordan and the Gaza Strip. In October 1953, one such raid in the village of Kibiya ended with a large number of dead, including women and children. As a result, in January 1954, Sharon decided to disband the unit, which was then integrated into the IDF’s regular Paratroopers Brigade, under Sharon’s command. In 1956, Sharon was appointed Paratroopers Brigade commander and fought in Operation Kadesh. During the campaign, Sharon led the fighters in the fierce Mitla battle. Many paratroopers died, and Sharon came under verbal attack from critics who charged that the battle had not been necessary. During the Six Day War, Sharon commanded an armored division, and in 1970, he was appointed OC Southern Command, in which position he bore the brunt of the War of Attrition. During 1971, in the aftermath of the war, Sharon focused on destroying terrorist cells in the Gaza Strip. In addition, he drove out the Bedouins from northern Sinai, thus earning himself a reprimand from the Chief of Staff. Sharon retired from the IDF in June 1973, and turned his attention to the Liberal party and Knesset elections. He spent the next several months establishing the Likud party. When the Yom Kippur War broke out, Sharon returned to active duty as an armored division commander, quarreled with his superiors, and crossed the Suez Canal in what would become the war’s turning point. Sharon was elected to the Knesset in December 1973, but a year later, he resigned and returned to the IDF. From 1975-1976, he served as then-Prime Minister Yitzchak Rabin’s defense advisor. In Menachem Begin’s government, Sharon served as agriculture minister. In 1980, Defense Minister Ezer Weizmann resigned, and Sharon wished to replace him. Initially, however, Begin refused Sharon’s request. But following elections for the tenth Knesset in 1981, Sharon was appointed defense minister, as he had hoped. In this position, Sharon initiated Operation Pines, which was designed to eliminate the terrorist bases in Lebanon and end the attacks on the northern border. The operation, which came to be known as Operation Peace for the Galilee, began on June 6, 1982. Sharon was involved in every stage, and critics charged that Sharon took certain steps without Begin’s knowledge or approval. In September 1982, following Lebanese President Bashir Gemayel’s assassination, Phalangist forces massacred Palestinian residents of the Sabra and Shatila refugee camps in Lebanon. A report issued by the Kahan Commission, the investigative committee established to probe Israel’s responsibility for the massacre, determined that Sharon was responsible for ignoring the potential for a massacre to occur, both when deciding to allow the Phalangists into the camps and by not providing the necessary means to prevent a massacre. Begin heeded the Commission’s recommendations that Sharon be dismissed from his position. In Yitzchak Shamir’s government, Sharon was appointed minister of housing and construction. When Binyamin Netanyahu formed his government in 1996, the new National Infrastructure Ministry was “stitched together” for Sharon, who became a member of the political-defense cabinet. Later, Sharon became foreign minister. In 1999, Sharon was elected Likud chairman. In September 2000, Sharon made a well-publicized visit to the Temple Mount, despite warnings that his act could have serious repercussions. Following the visit, Israeli-Arabs joined the Palestinians of Judea, Samaria, and Gaza in a violent wave of protests, which evolved into the so-called Al-Aksa Intifada. 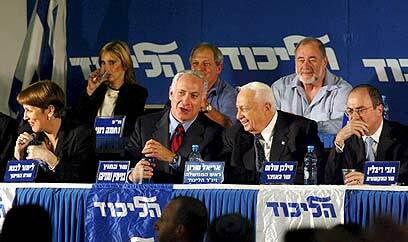 In national elections held on February 6, 2001, Sharon beat out incumbent Prime Minister Ehud Barak by a wide margin. Then, on March 7, Sharon established a national-unity government. In January 2003, he led the Likud to a sweeping victory in the Knesset elections and continued on as prime minister. During 2003, Sharon and his sons were investigated in two separate cases of alleged corruption: one involving a loan from millionaire Cyril Kern, and the second concerning businessman David Appel’s hiring of Gilad Sharon. On December 18, 2003, Sharon presented his so-called “disengagement” plan, which involved a unilateral Israeli withdrawal from the Gaza Strip. The plan’s details were released in April 2004. Although he faced numerous challenges, Sharon managed to maintain his government’s stability, and his controversial plan was implemented in August 2005. All the Israeli communities in the Gaza Strip, as well as an additional four communities in northern Samaria, were evacuated. The plan’s implementation rocked the Likud party, which was bitterly divided between “disengagement” supporters and opponents, and the animosity continued even after the evacuation was completed. 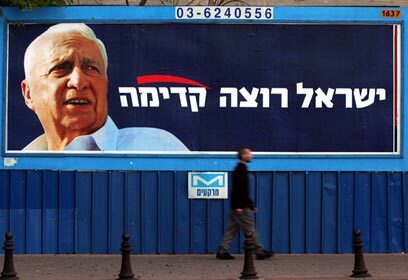 In November 2005, after the Labor party bolted Sharon’s government and elections were advanced to March 2006, Sharon announced that he was quitting the Likud and forming a new party called Kadima. Towards the end of December 2005, Sharon suffered a minor stroke and was briefly hospitalized. Then, on January 4, 2006, several days after he had returned to work, he suffered a massive stroke and was hospitalized again. His responsibilities and official duties as PM were transferred to then-Deputy Prime Minister Ehud Olmert, who became acting prime minister. Sharon’s tenure as prime minister officially ended 100 days later, when he was rendered permanently incapacitated and unable to resume his duties as prime minister. He died on Saturday, January 11, 2014 and was buried on his home at Sycamore Ranch in the Negev.